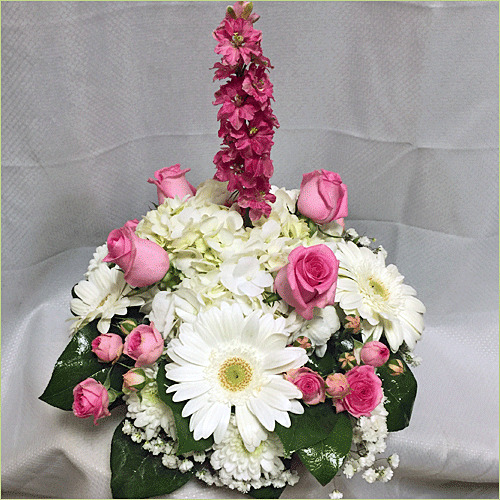 For a charmed event, show some hot Pink Roses, white gerberas, and white Hydrengias offer a comforting environment to your recipients. Standard arrangement includes 12 stems. Deluxe arrangement includes 15 stems. Premium arrangement includes 18 stems.